DUSTIN BENTALL is what you call a rustic troubadour, a counter-culture cowboy, and a purveyor in the finest of cosmic Canadiana. 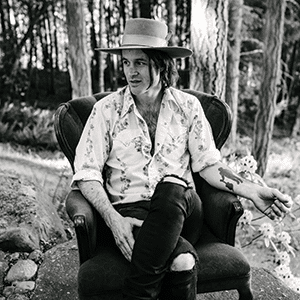 For years, Dustin has honed his rebel songwriting craft in every dive bar, club, and honky tonk across Canada. He’s sought inspiration by following his musical heroes to the American desert and returned to write and sing the tales. And of course, music is embedded deeply in Dustin’s DNA: his father is legendary BC rocker Barney Bentall. Every fall season, they hit the stage together for the Cariboo Express Tour. Along with several other talented souls, they raise thousands of dollars for local charities.